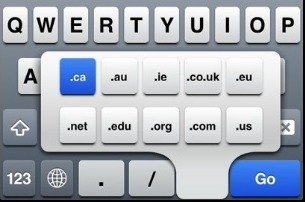 Most iOS Safari users know by now that you can quickly type out TLD (top level domains) for websites in Safari by hitting the “.com” button on the keyboard, and that by tapping and holding on that same “.com” button a variety of TLD’s will be available that are relevant to your default keyboard language. That tap-and-hold menu helps you visit websites faster on the iPad, iPhone, and iPod touch, by reducing typing, and in the USA you will find options for .com, .us, .net, .org, and .edu in that pop-up menu. If you’ve ever wished there were additional TLD’s for other countries too, you will be thrilled to find out you can easily add international domains to that quick-access menu as well, all you need to do is enable their respective keyboards on your iOS device. Quick side note: while you’re in the International settings, consider adding the Emoji keyboard as well so that you can type and receive the funky and often hilarious emoji icons. Now go back to Safari and tap the URL bar to bring up the keyboard that has the TLD option, tap and hold on “.com” and you’ll find the new list. This should work the same for both US and internationally configured iOS devices, though there does appear to be some limitations on the TLD’s and not all foreign keyboards will add the top level domain for their country. Notice the Bahasa Indonesia keyboard did not add the .id domain, but the English (UK), English (Australia), and English (Canada) did add their respective countries. This could be a localization limitation, or perhaps Apple simply hasn’t added every single countries unique domains yet to the TLD quick menu. Safari maxing out 7,909.9% CPU – WTF? 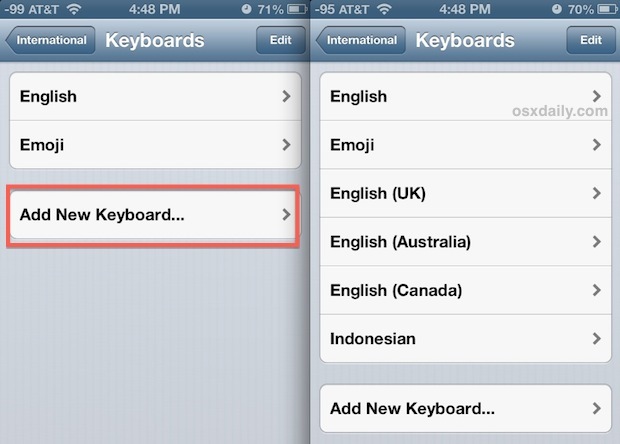 I am using the Bahasa Indonesia Keyboard layout and I can find the .id TLD. Still no way to add .gov, right? Missing com.au. :/ One too many letters to fit into the button? Thanks for such a useful tip. 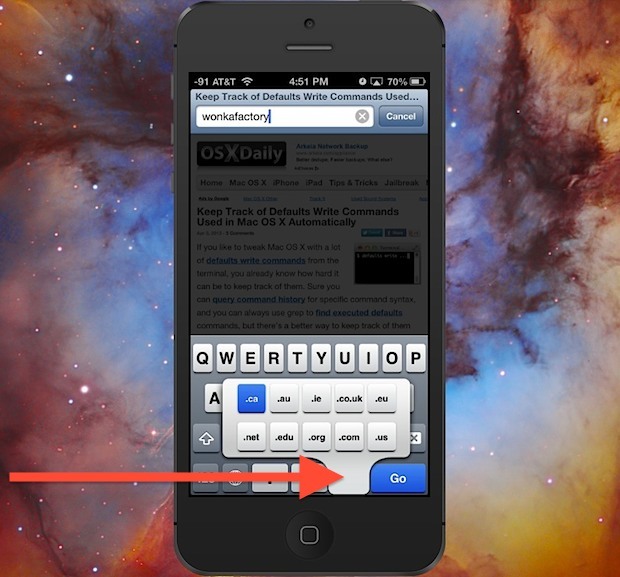 It will really boost by working expereince with Safari on iPhone. Great post! Thank you for sharing this.